If you have recently been diagnosed with COPD you may experience a lot of mixed emotions. Feelings of confusion, vulnerability, anxiety about your health and your future and frustration at how unfair the whole situation is are just some of the emotions you may be going through at this time. They can cause anger at yourself and your friends and family. Try and remember – these are completely normal feelings and everyone’s reaction is different. Remember too, that whilst you may be the person with the diagnosis of COPD it can also affect those around you who care about you. They may be dealing with their own emotions – sadness and concern at seeing you unwell and unable to enjoy the things you like to do. COPD may make you tired and may limit the things you want to do and once enjoyed. If you use portable oxygen you could become reluctant to go out in public or you may be conscious of a chronic cough which could limit where you socialise. All these things can socially isolate you and put you at an increased risk of developing depression. 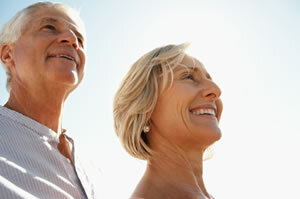 People with COPD just like people without COPD can develop depression. If left untreated it can drain you health both emotionally and physically. It will make you feel down and lacking the energy to look after your self and manage your COPD. Irritable with people and things that normally would not worry you. If you can relate to any of these symptoms or feel you may be suffering from depression please talk with your doctor as depression is treatable with medication and support. Relaxation activities such as reflexology, tai chi or yoga can also be beneficial. Pursed lip breathing is helpful in easing breathlessness. This then decreases your anxiety levels. Some people find listening to soothing music or relaxation classes also helpful. It is also advisable to discuss this with your nurse/physiotherapist.